People strive to contribute to God in different kinds of ways, whether it be through the giving of their time, talents or material offerings. There are many opportunities to get involved at First United Church of Christ. The Holy Spirit has blessed us with different talents and abilities. Perhaps there is an opportunity for you to share your God given gifts at the First United Church of Christ. Maybe you could sing in the choir, teach a Sunday school class, chaperone a youth retreat, or participate on a mission trip. Check out our ministry menu to see how you can get involved today. Many members of our congregation have found our electronic donation system helpful and convenient. There are times when we leave our offering envelope sitting on the kitchen table as we hurry out the door on Sunday morning. Through our electronic donation service, your offering would be automatically taken out of your checking or savings account on the 20th of every month. This will help to maximize your offering pledge and will allow you the flexibility to support the church without having to be in the pew every Sunday. 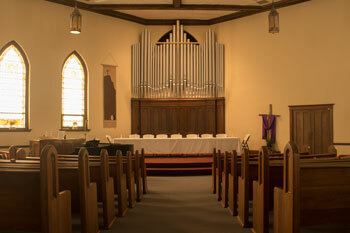 First United Church of Christ established an endowment fund in 2012. This fund provides an opportunity for members and friends of First UCC to make a significant financial gift to the church that will be faithfully managed and preserved for many years to come. Not only will the endowment fund serve as a nest egg, but it will also enhance our ministry by funding projects that the church finds meaningful. God has blessed us in many wonderful ways. Let us experience the joy of giving as we celebrate all that God has given to us.